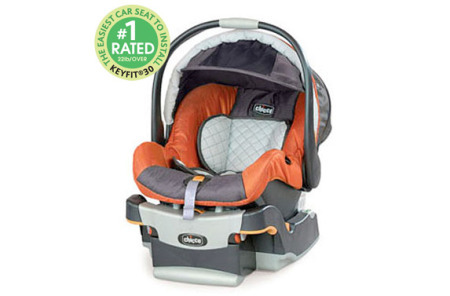 Chicco’s 360 Rotating Hook on Chairs feature a state-of-the-art seat that will lock in six different positions for joyful and interactive meals. Position baby facing mom or dad for one-on-one feeding. Face baby out to keep him happy and let others entertain him. 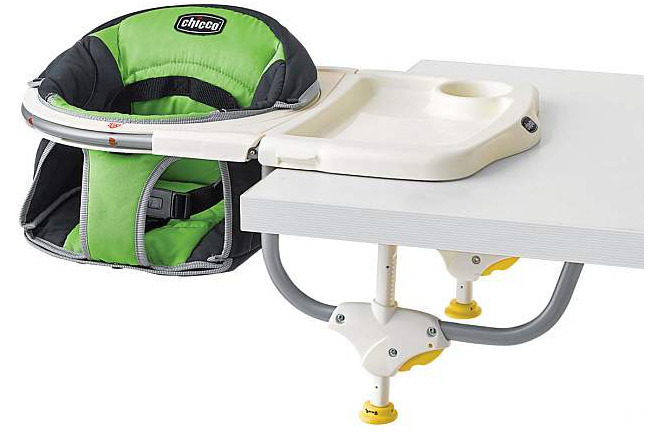 The Chicco® 360° Rotating Hook on Chairs are the one and only single table seat that can rotate 360° so parent and infant never lose vision of one another. Rubber grips clamp onto the dinner table easily and effective to securely negotiate table skirts up to a half of an inch thickness and featuring a 3-point safety harness for added protection for baby.